This one is for Plum Cheeky. She makes wonderful hybrid fitted diapers and they just look amazing. We received the Dinosaurs Hybrid and I just love this diaper. There's a double OS insert and then a newborn insert. It adjusts with a fold over rise, which is great because you can get the PERFECT fit this way. Fits Emerson well with the rise opened and 1 snap visible in middle. He could probably use it with the rise folded down as well, but this gives us lots of coverage so it helps against leaks. This diaper is pretty amazing. It's a hybrid fitted which means that it takes a LOT of liquid to make it feel damp on the outside. I washed this diaper just 1 time (3-5 for optimal absorbency) and it lasted 2.5 hours before it felt damp on the outside. That was after a whole cup of juice and Emerson is a heavy wetter. So I think that's pretty amazing. The wash and dry process were great for this diaper. Since all the inserts snap out it washes clean and it dries really fast as well. The red didn't run to my other diapers either which I was a bit afraid of. 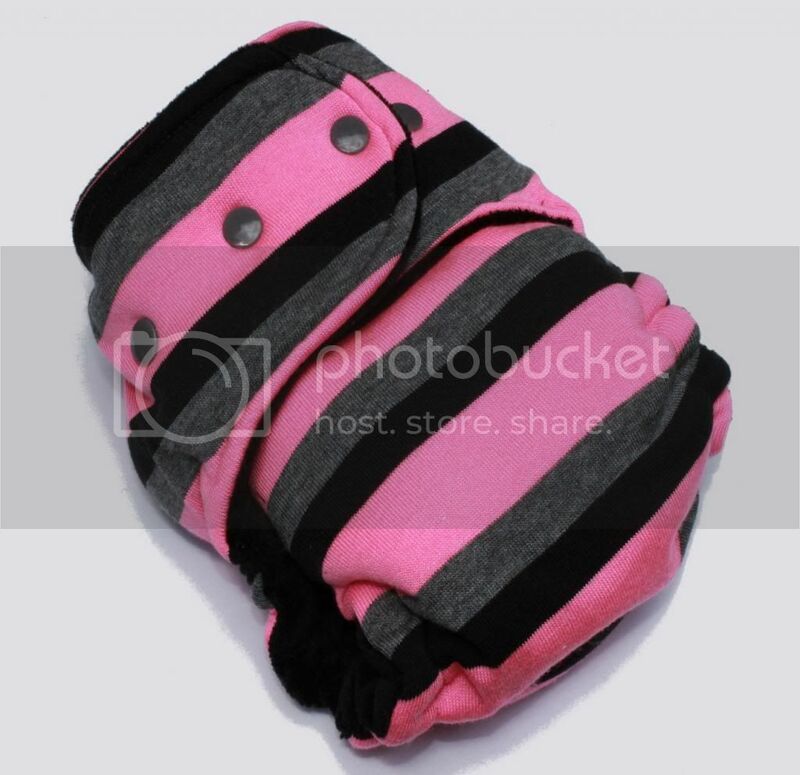 The diaper is trim, but is great for breathability to be used on it's own or under wool/fleece. She offers many other diapers that are just plain amazing! 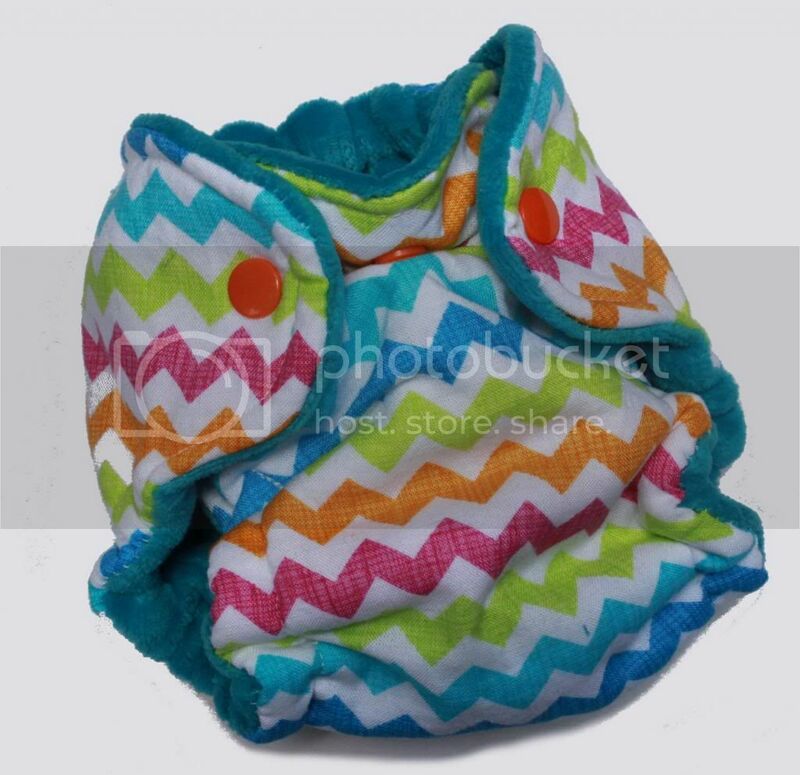 And I will probably buy this newborn diaper! She also does regular fitteds (non hybrid) and wipes as well. Price is a little high, but these diapers are SO worth it!! For the Summer Cloth, Plum Cheeky has offered one reader the chance to win the Mellow Out Hybrid diaper!